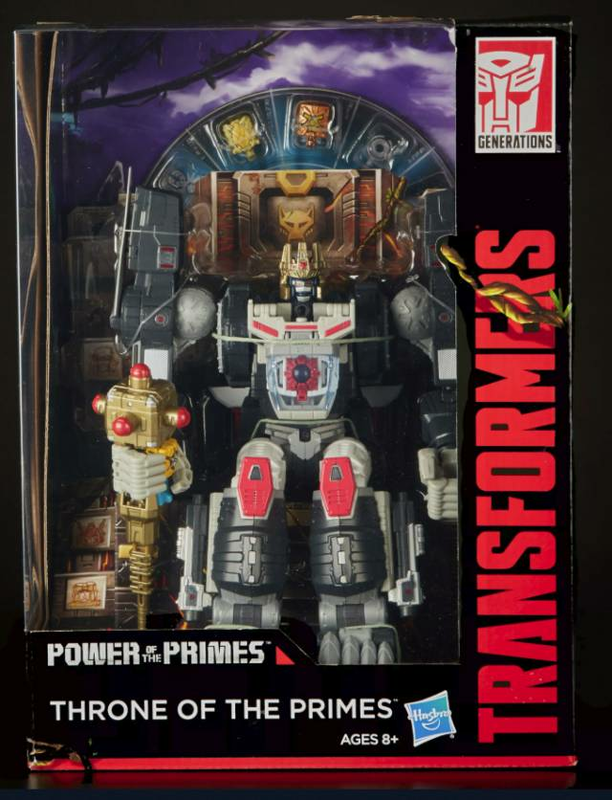 Transformers: Generations Power of the Primes Throne of the Primes. 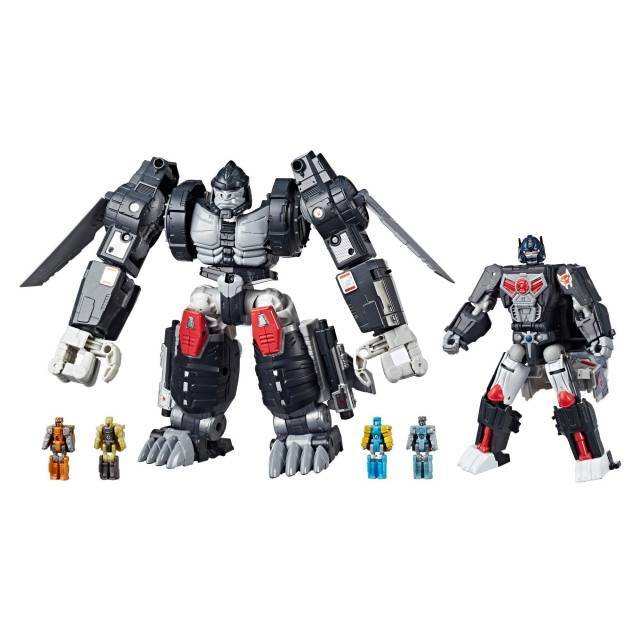 This set features Nexus Prime, Amalgamous Prime, Prima Prime and the Legendary 13th Prime Comic-Con exclusive Prime Master figures. 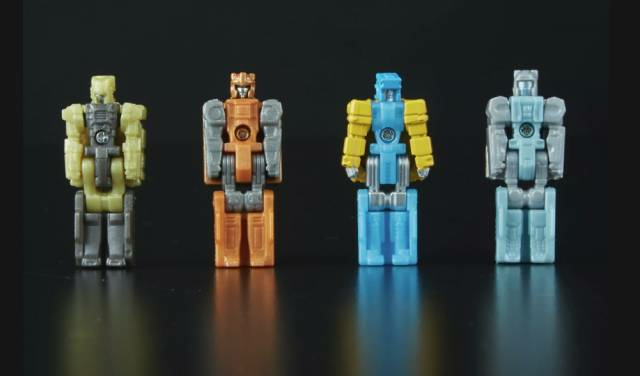 There's also a Scepter of Sparks accessory, designed to hold four Prime Master figures. 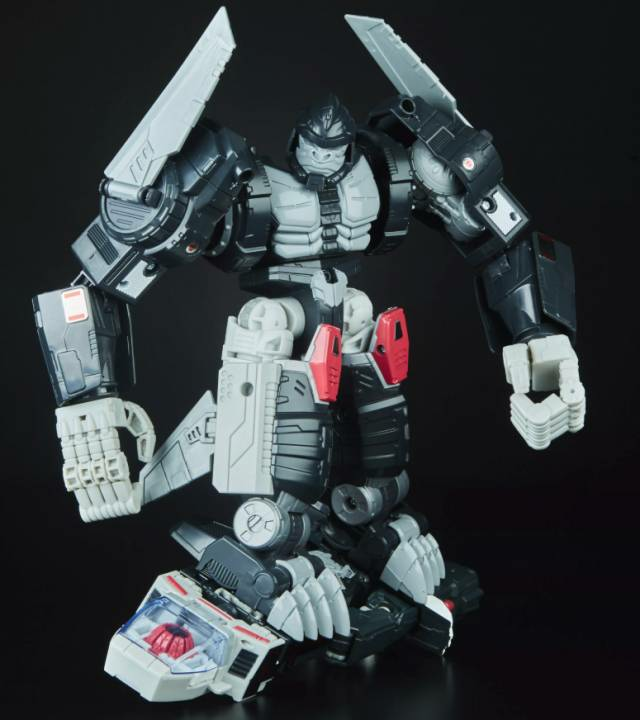 The Halo of Primus display can be used to create a display of Prime Master power, with the ability to hold 12 Prime Master figures. 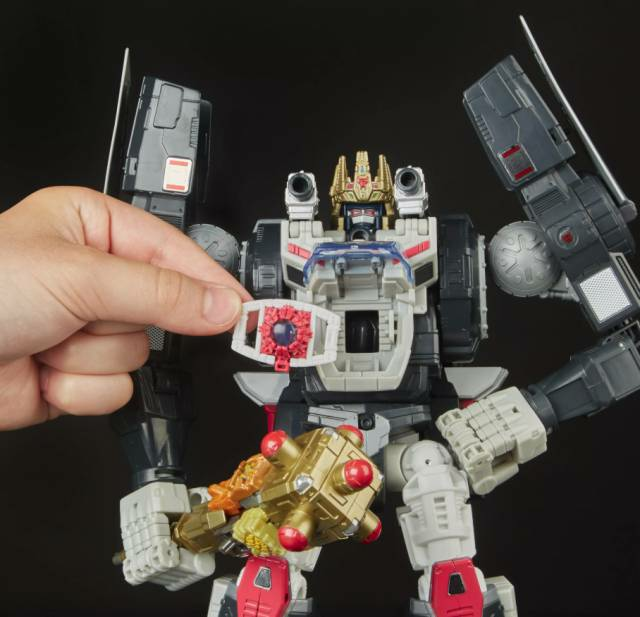 "This Completes your collection of Power of the Primes Prime Masters!" 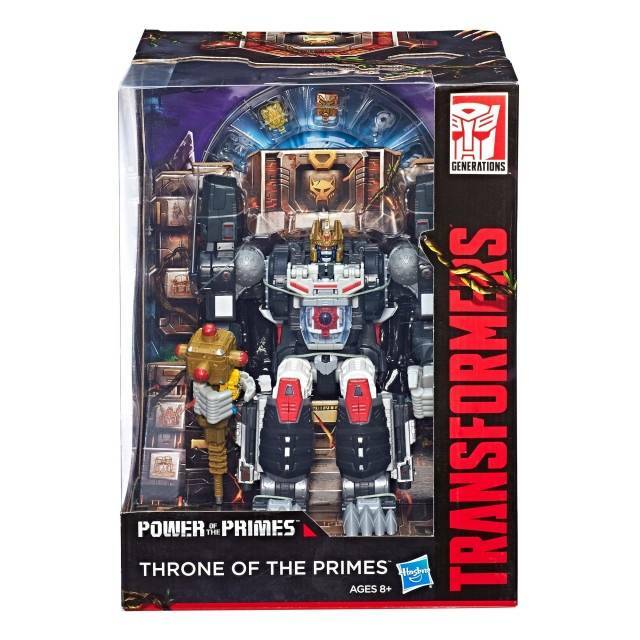 I will go out to say, yes, if you are looking to simply collect the final members of the power of the primes, then this is a bit of a stretch in terms of price. 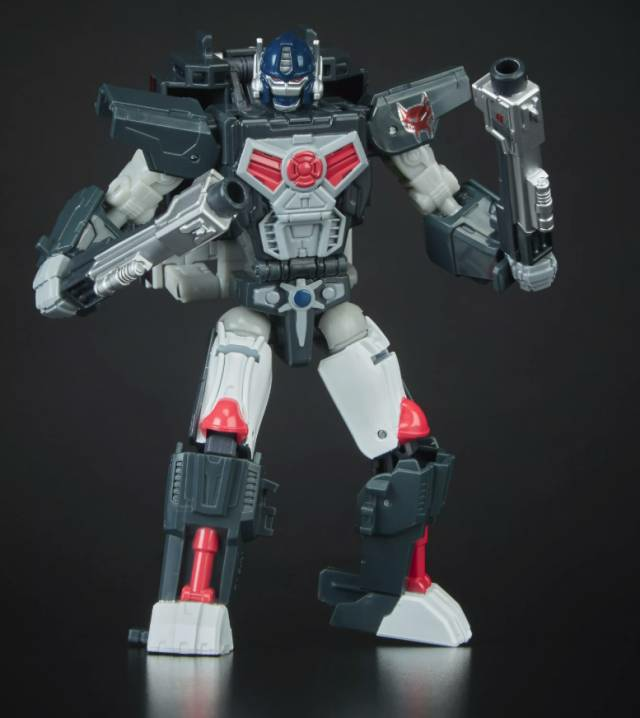 However, if you did not have this figure before, it's a really great figure with a pretty nice display. It is of course cardboard, but I plan on keeping it in its box to begin with. 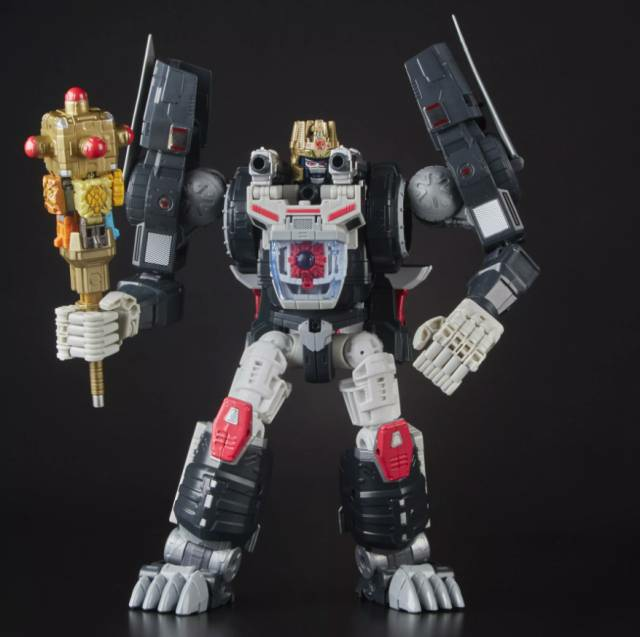 The colors look a lot better on this version than on the original release of this figure. 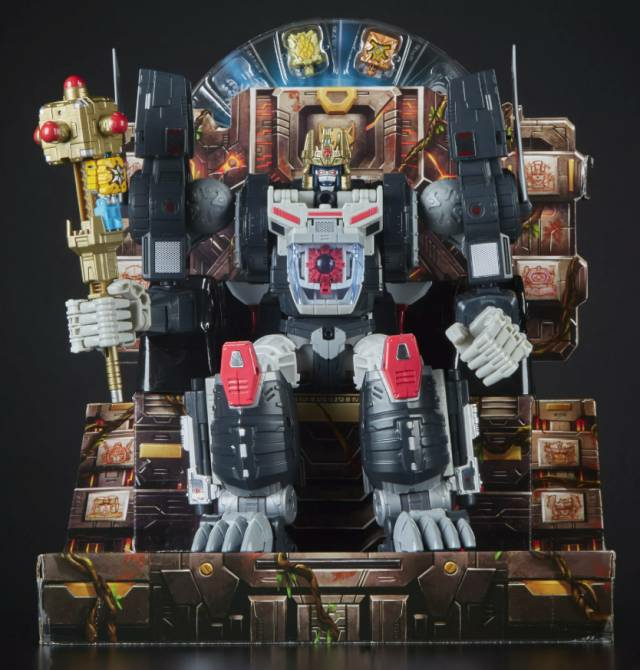 All you have that is extra is the Prime Master figures, the wheel they sit in, the Scepter of Sparks, a crown with the maximal symbol on it, and the throne he sits in. Some of these add-on features are not that impressive, such as the cardboard throne being..well, cardboard. 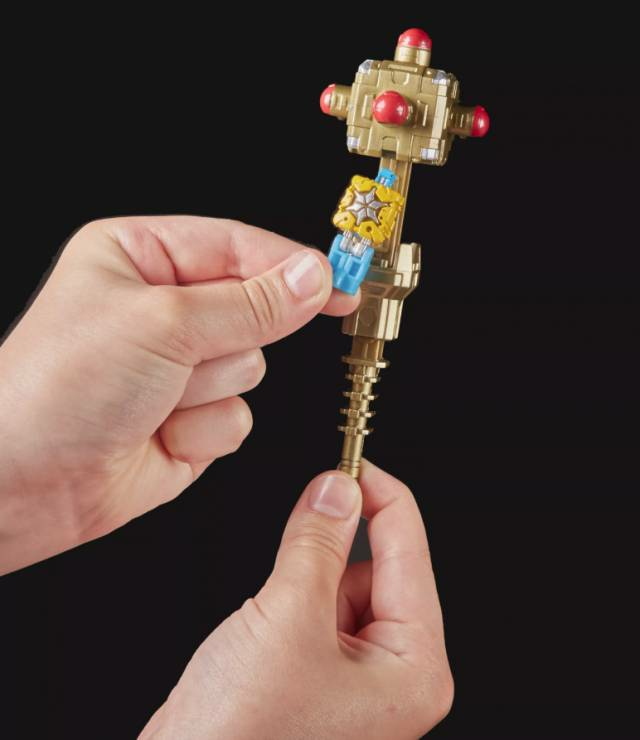 However, the rest of it is pretty cool. 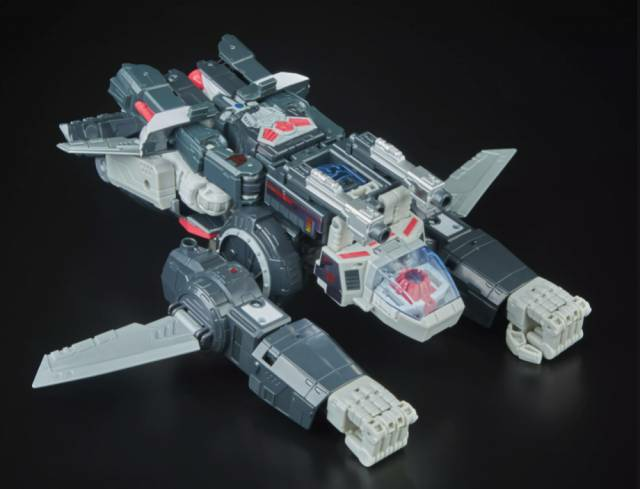 The wheel the Prime Masters sit in seems to be slightly ratcheted and it can be turned quite easily. Though you cannot see all of them at once. Which is a shame. 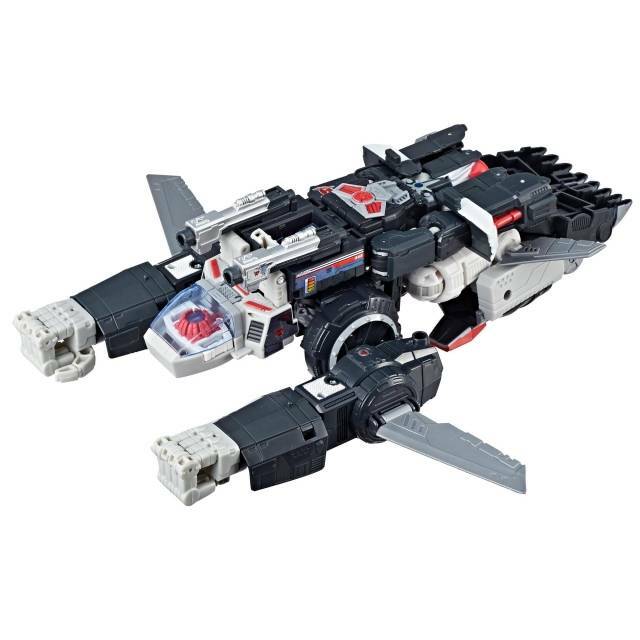 Ultimately, if you want the last remaining members of the Primes, you'll have to get this. I don't mean to demean the figure at all, because it is great when you consider all you are getting with it. 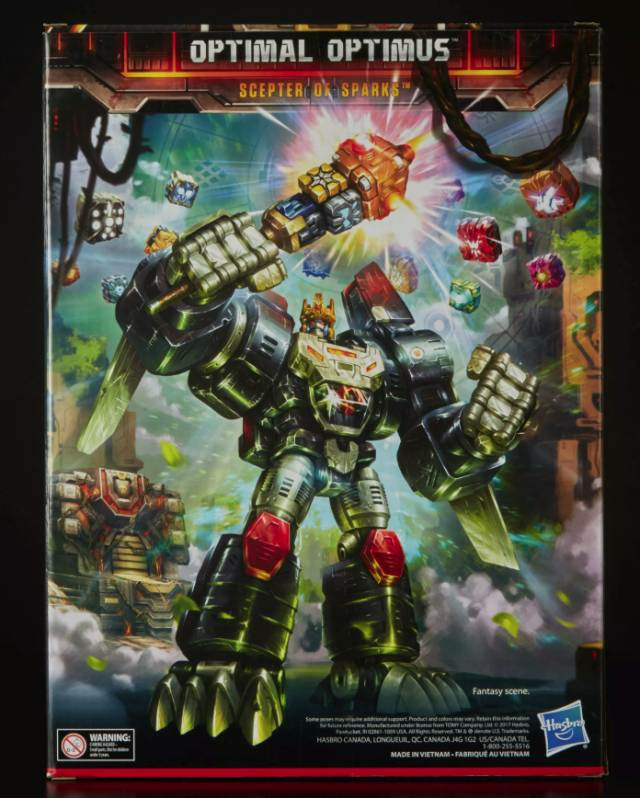 Including an instruction sheet with all of them on it and what their powers are. 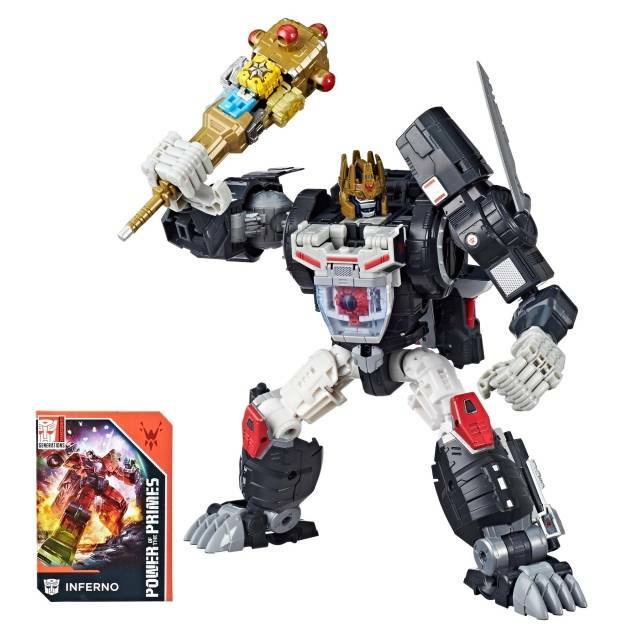 I just feel there would be another way to market the remaining Primes without all of the extra stuff. 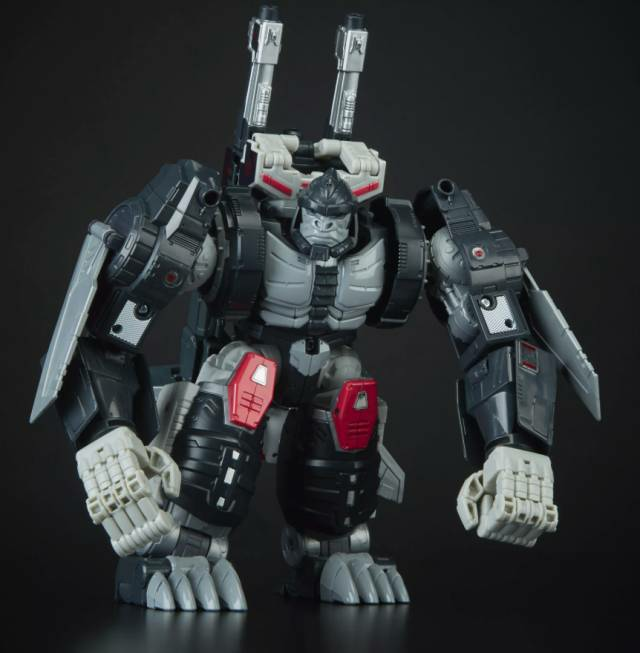 I guess on the bright side you have yourself a pretty awesome looking dark Optimus Primal!